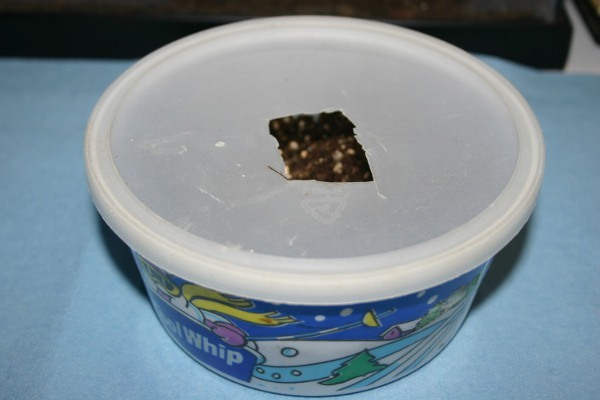 An important component of an adult leopard gecko's terrarium is a moist shed box they can go in and do their shedding/egg laying. 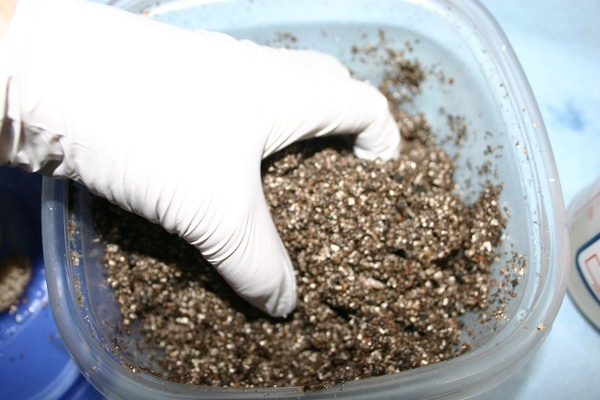 Without this their skin will get stuck on their heads, eyes and toes, resulting in possible loss and/or infection. 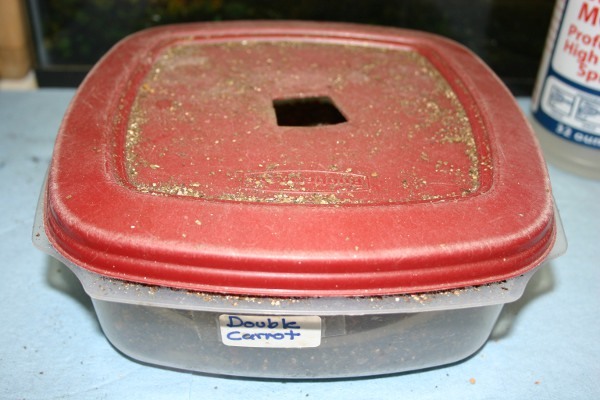 Here's a cheap and easy way to make a nice shed box for them. 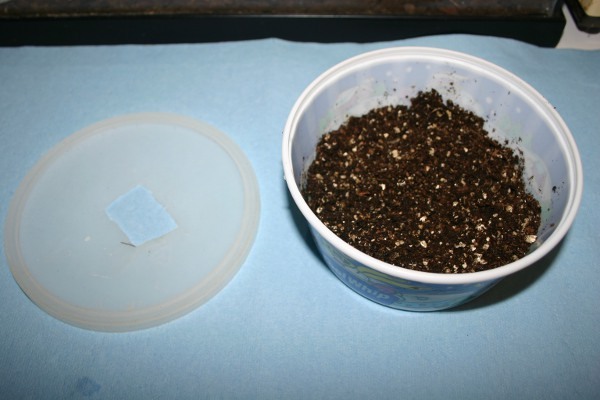 First, I use a butter tub or something plastic with a good fitting lid that will hold as many leopard geckos as in the terrarium, cut a "door" into it, add a 50/50 sphagnum peat moss and vericulite mixture, then moisten it. 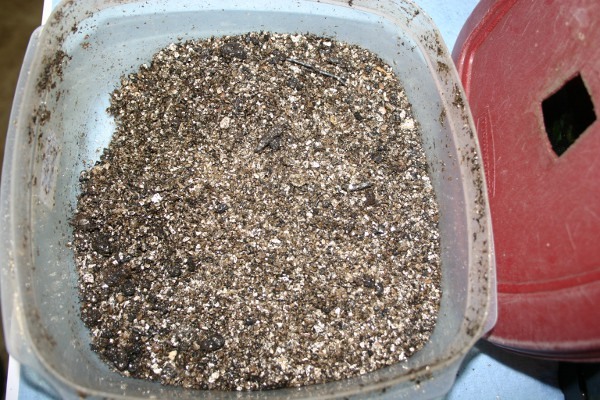 Here's the moist shed box with 50/50 moist vermiculite and sphagnum peat moss. You can purchase these items at any place that sells plants. Put in 1-1.5 inches, moisten and replace as needed. This is the clumpy type consistency you need to start out with. Add water to the mixture until it gets like this. 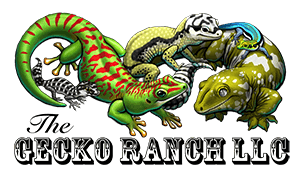 Here's a larger box for 1.2 (one male and two female) breeders. I keep these off the heat tapes I use in my breeder rack drawer system as the substrate will dry up too quickly there. Here's what it looks like inside after the leopard geckos have packed it down, either by sitting in it or covering up their eggs!